We’ve teamed up with some of our favorite editing, post & VFX partners to bring you the LUCKY YOU NAB GIVEAWAY! 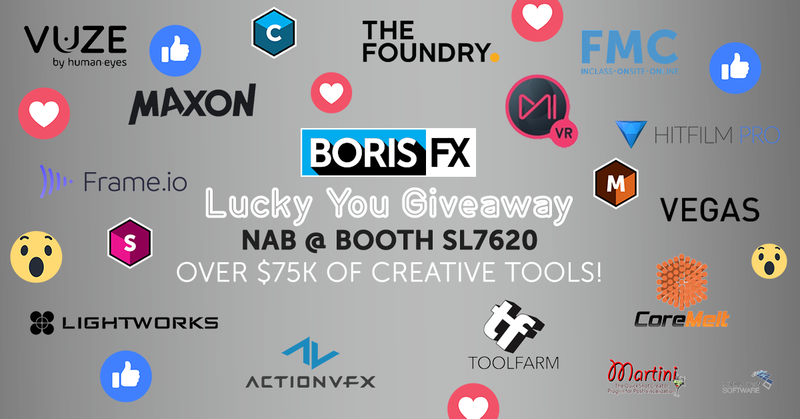 Swing by the Boris FX Booth SL7620 (April 8-11) rest your weary legs while catching special guest artists and demos in action, and make sure to get your badge scanned by a member of the team. Once your badge is scanned, you’re automatically entered into the giveaway. Visit us every day to up your chances. Daily winners will be notified by email.